An automated rescue craft to retrieve one passenger. 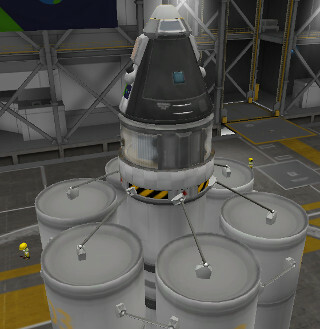 Has enough DV to grab people from Munar orbit and return them to Kerbin.¨¨Be sure to open the bay with ‘G’ to expose the solar cells. A stock rocket called 1T Rescue Bot Pro. Built with 50 of the finest parts, its root part is mk1pod.